- Texas Dandie Dinmont Terrier Rescue - ADOPTIONS - Rescue Me! Scroll to view available . 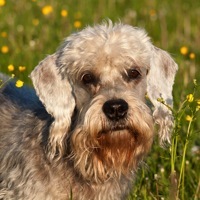 Dandie Dinmont Terrier Dogs adopted on Rescue Me! This map shows how many Dandie Dinmont Terrier Dogs are posted in other states. Click on a number to view those needing rescue in that state. Copyright © 1999-2018 World Organization. All rights reserved. Rescue Me, RescueMe.Org, and the paw logo are registered trademarks of WO.